Just back from a weekend in Batu Pahat in Malaysia. It seems many new eateries have sprouted up here this year. One of them that's been working up a bit of a reputation is Restoran SY, which takes up four double-storey shophouse units, near Carrefour. Apparently it pulled over a lot of staff from Ocean Restaurant, chefs and waitstaff alike! No wonder Ocean's been tasting a little different lately. Anyway, our first time at this SY joint and we quite like it. The dishes are done fairly well and don't cost the earth. Service in general is friendly and competent. Pardon the photos, I didn't bring my DSLR, so these are from the old point-and-shoot. This soup is new to me. The Chinese name sounded to me like 福州蛋蛋汤 or Fuzhou Dan Dan Tang (Foochow Egg Soup). 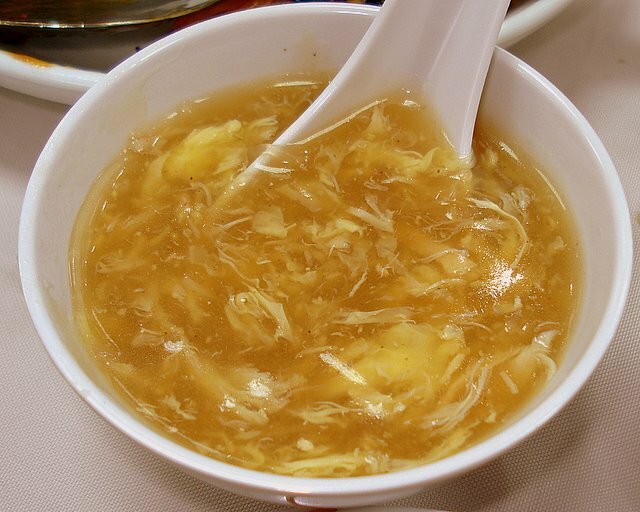 It's as delicious as any shark's fin soup, chockful of crabmeat, egg and flavourful stock. But marine lovers can enjoy this without guilt as no shark has been harmed in the process. The few translucent strands you see are simply tanghoon (mung bean vermicelli). 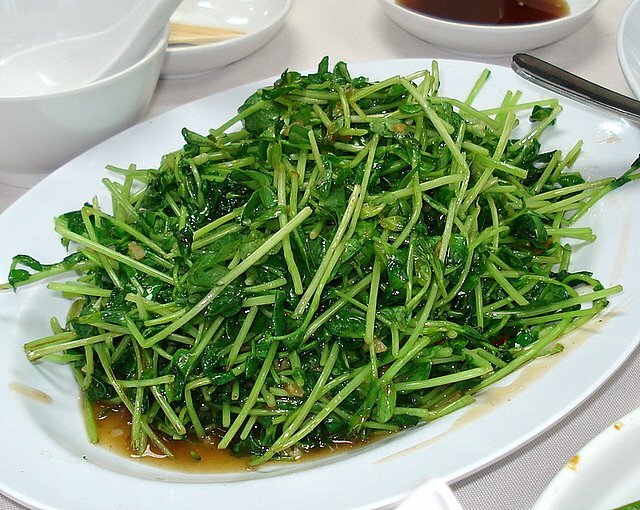 If you like your greens still crisp, you'll like these dou miao (pea shoots), stir-fried with garlic. Personally I would have preferred them a bit more wilted, but the residual heat did soften them a little as we slowly picked at these and other dishes. 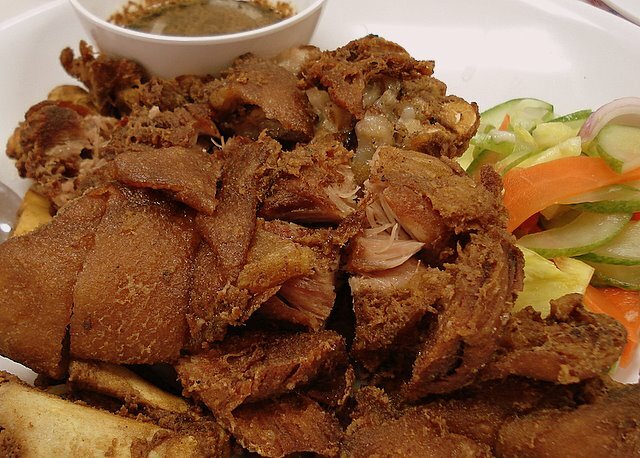 The restaurant recommended their new creation of Thai-style deep-fried pork trotters. This was good. Crispy skin with tender meat - they possibly pre-boiled the trotters before deep-frying. Comes with a dipping sauce that's a thick, garlicky, sweetish yet tangy soy sauce - I suppose this is the "Thai" element. They also have braised pork trotters with sea cucumber. Mmmh, I gotta try that next time. Fried mee sua (wheat-rice noodles) very nicely done. Generous ingredients and the noodles had soaked up all the delicious stock without getting soggy. Mee sua is not easy to cook as it tends to get too soft quickly. Oh and these are the "pickles" they serve upfront. Peanuts in a very rich braising sauce. Nice to see they put effort in this little dish as well. You can taste all the braising spices in there! Overall, this satisfying meal for four adults and two toddlers cost only RM65.70 (around S$28 or US$20), including the above pickles/peanuts, moist towelettes and a pot of Chinese tea. We most certainly will be back for more. Oh my goodness, DSLR or not, food looks slurpilicious. hi, i really wanna try the food at this place, but can u teach me how to go there after JB customs ? Can i jus take a cab n go there ? Wats the fare gonna like ? Is Batu Pahat near JB ? Ah Kenny, then you will like the dou miao here! K-man, haha yes, the pork trotters possibly taken from Ocean too, I saw it on their menu as well. 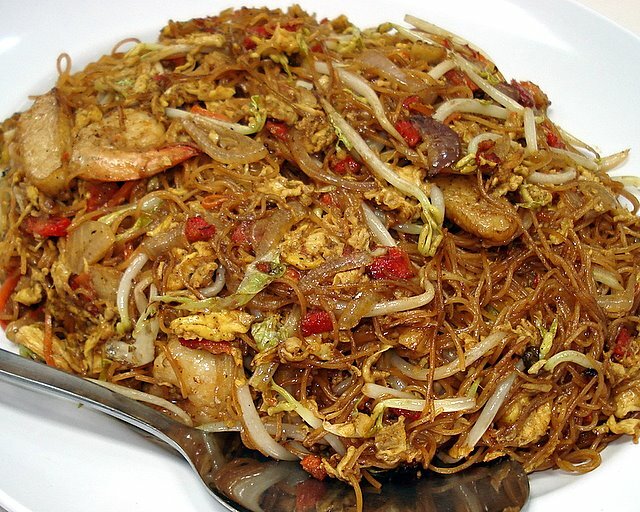 Hmm, fried mee sua and tanghoon? Must try next time! 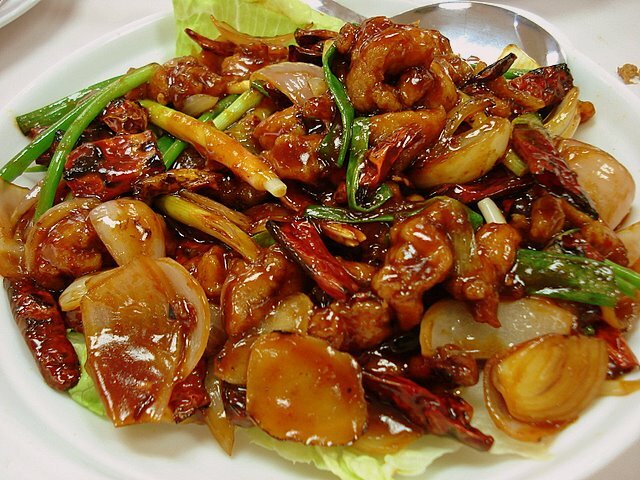 Recommend some more dishes leh! Ocha: haha, thanks! Maybe I should use the point-and-shoot more often, much easier logistically! Anonymous: Hmmm, glad you are piqued to try this place. But Batu Pahat (you can google it) is about 100km northwest of JB - or about 1.5hrs drive. You can take a taxi, yes. They charge about RM200 (not sure about recent fare hikes), split between four passengers. Directions wise...I've put up a Google map, which should be the clearest way to describe things. Hope this helps! Didally: wow you can eat dou miao raw! I still can't do that! Oh, this restaurant is not in JB but even farther afield! Need 2hrs drive from Singapore! Southernoise: haha, that just means MORE pork trotters for yourself! Frankly, I could have polished off the entire plate myself. Mmmh, maybe next time I will! LIC: I created that placemark on Google Maps to show the location, yes. 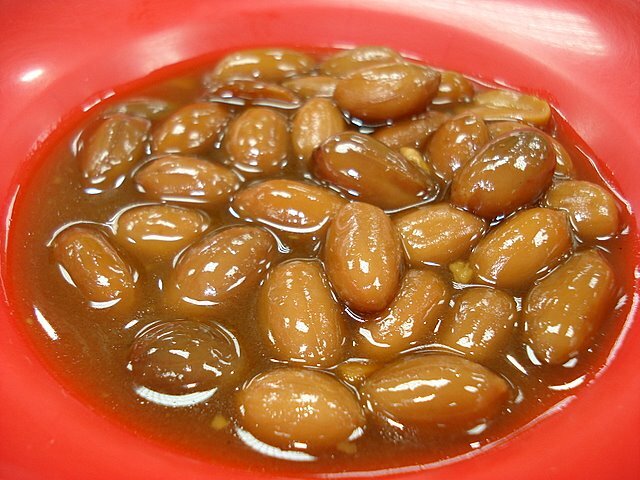 The braised nuts are actually from a can. You can get it from most of the groceries store. People like to eat it with porridge. Dont need much effort in opening the can though. The braised nuts actually come in a can. Can get them in most of the grocery stores, people like to eat them with porridge. Doesn't need much effort in opening the can though.